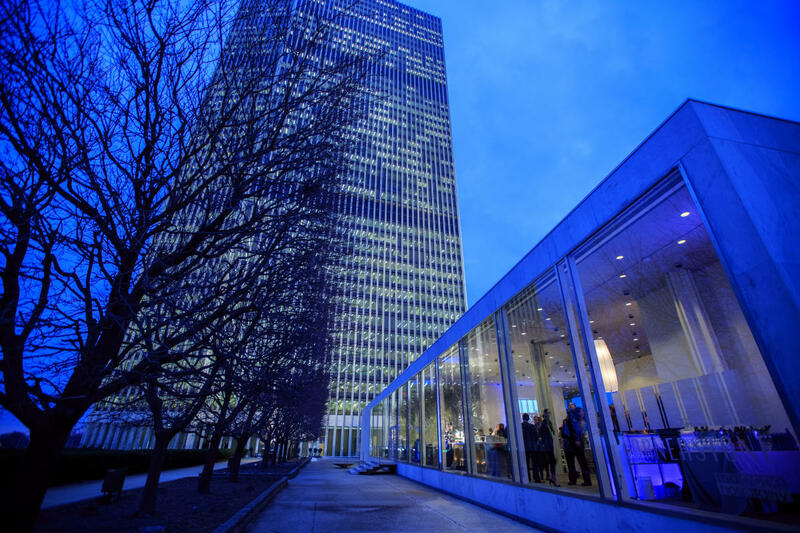 Cornerstone at the Plaza offers an elegant event space at the base of the Egg on the Empire State Plaza. 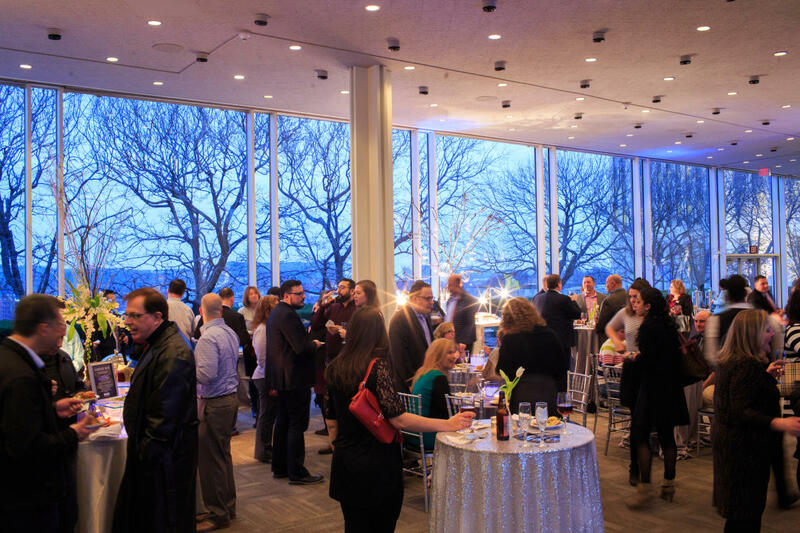 Whether you are looking to host your dream wedding, corporate cocktail reception or fundraiser, or an afternoon luncheon, this versatile event space will allow you to host up to 250 guests. 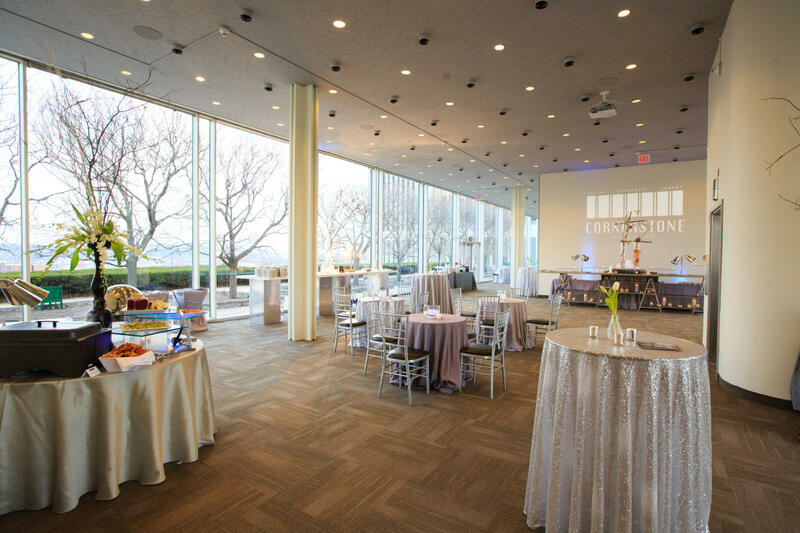 Floor to ceiling glass windows offer a stunning 360 view of downtown Albany and the Empire State Plaza, and will provide a gorgeous sunset backdrop for your early evening cocktail reception. Ample natural light during the day will set the tone for bridal showers, afternoon luncheons, and corporate receptions. 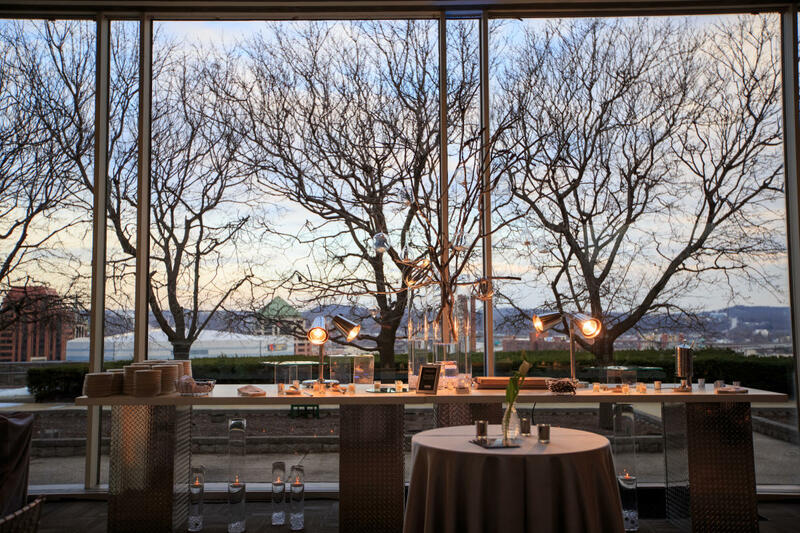 Our dedicated, on-location staff work one-on-one with our clients to uncover their visions and style in order to design an event that will exceed all expectations.